You’ve probably heard of the “mompreneur”, or the stay-at-home mom who ventures into various businesses right from her home. 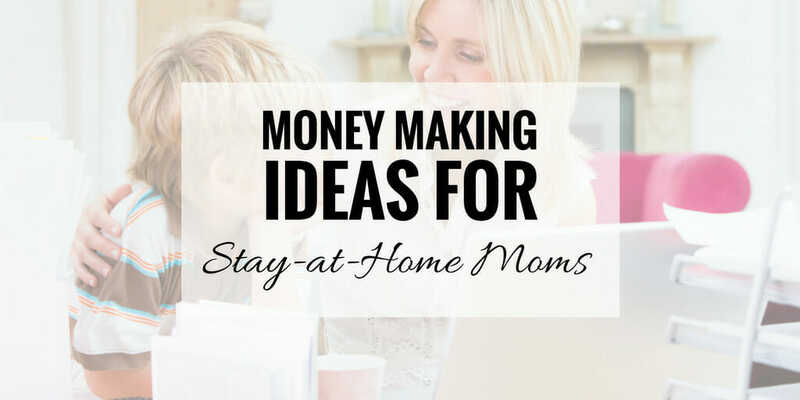 The world we live in today has made it completely possible for a mom to make a side income, or even a full-time living from the comfort of her home. No longer does a mother need to choose between earning money, taking care of the children, cooking meals or any of the other numerous jobs stay-at-home mothers contend with on a daily basis (including nights and weekends!). Already Employed? Ask About Telecommuting! A lot of female employees have to leave their current jobs because they have children and choose to raise their kids. This puts companies in a tough position. They’re losing a very valuable, dependable employee. Don’t you think they’d rather make arrangements for telecommuting or remote work from home? Work-from-Home Mom Saved Toy Story 2 From Total Deletion! Online jobs are becoming more and more common. Technology has made many jobs possible from home that weren’t just a few years ago. Add to this the lowered costs for the technology and it’s even affordable for small to mid-size businesses! Skills you may have picked up or developed in the corporate world can be used to market yourself in the online marketplace as a copywriter, virtual assistant, bookkeeper, graphic designer, web designer, video editor, blogger, social media manager, and a variety of other online jobs. You can use websites like Upwork and Fiverr (affiliate) to find work right away. Online marketplace communities such as Etsy (affiliate) allow you to set up your virtual store conveniently, bypassing a lot of the technological complications you’d ordinarily run into. Do you have pottery, jewelry, clothing, accessories, art work, sculptures, lotions, perfumes, or other stuff that you can make? Selling them online can be the start of a financially rewarding business venture for you. Another option is to sell-off the toys your kids no longer play with. This can be done through eBay, but our friend actually makes quite a bit selling through mom co-op Facebook groups. Were you the ultimate party enthusiast in high school or college? Or perhaps you really enjoy planning dinners, birthday celebrations, and other occasions. You can start offering your services as an event planner, wedding coordinator, etc. This is ideal if you have some free time that you can use for shopping and personal meetings, although many of the tasks can be accomplished at home. This is perfect for the mom who loves to be organized. Your knowledge and skills in piano, violin, baking, cooking, sign language, and other topics can be used for generating additional monthly income. Perhaps there are kids in your community who need additional help with geometry, chemistry, English, or other subjects in school; professional tutors can be quite expensive, so you can offer a competitive rate and possibly grow your tutoring service. Or if you live in a multi-cultural community, there may be opportunities to teach English as well. Another option for this idea is to teach online. Websites like Udemy and Skillshare make setting up a course super simple. So, if you have a skill or knowledge that you want to teach, what are you waiting for? If you are an animal lover yourself, you would be surprised at how many people in your neighborhood are looking for help with taking care of their pets, especially if they have really busy schedules. Offer to walk or feed pets during the daytime, or watch people’s pets when they are on vacation. If you have the space for it, such as a large backyard, you can probably start a pet boarding business as well (local business permits may apply). These are just a few ideas to help you think of something that fits best with your passions and needs. There are so many ways to make money online now. With enough effort and patience, there is absolutely no question that you can succeed. Whether you want to sell products online, or share your knowledge, there are websites that make things really simple. Starting a blog is a great way to make money. Probably easier if you have a friend who also makes money blogging so they can teach you the ways to make money with sponsored posts or product reviews etc. I know a lot of fashion and beauty bloggers get A LOT of free gifts from companies, so even if you don’t earn a part time salary…you earn through free gifts and products you can use for yourself or your family.